How can you use iMovie in the classroom? Here are 13 ways to use iMovie in the classroom from edapps.ca to explore. Documentation: Use the camera and microphone to record student work and performances. You might record students reading, to track progress, video record a student playing a short riff in band class, or record a performance in Phys.Ed, or pretty much any other course. Peer Feedback: Use video as a great medium to get students to begin to provide each other with feedback. Watching in pairs or small groups can become a catalyst for powerful conversations. Self Reflection: Students learning to be self aware and provide self-feedback is one of the most effective things we can teach our students. They can watch themselves doing some sort of performance (as described in Documentation above), and give them some structure or checklist to follow. Creating Movies: Youtube is the most popular and powerful search engine for kids, it is how they communicate. Students also should be learning how to create movies so that they can be active participants in the media. iMovie makes it easy to include elements such as text, transitions, visuals and music; all elements that make the medium a powerful one. Story Telling: have students tell personal stories and turn them into digital stories using pictures and images from their classroom and their lives. Photo Essay: Photo-essays are powerful ways to convey messages through visuals and text. 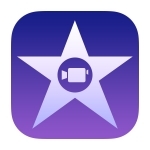 Students can easily add text-based-slides to iMovie using another app called iMovie Extras. Microscopy: The camera in the iPad works perfectly for recording through the optical piece of a light microscope. You can easily take video of live specimens under a low powered microscope. Field Trips: Field trips / Field studies are great, and students can use the iPads video recoding/editing capabilities to document the experience so that they can bring it back to the classroom. Creating Instructional Videos: We learn best when we teach something: students can quickly make instructional videos using iMovie and the iPad, by recording them selves and their peers, and cutting the moving into a logical sequence of instructions. Slow Motion Analysis: In imovie, you can easily scrub through video clips in slow motion at an appropriate speed, frame by frame. During a physics experiment, science demo, or Phys.Ed. class, students can record and then slow down footage to find out exactly what is going on. Create Animated Films: By using iMovie in conjunction with other apps such as Animation HD or iMotion HD, students can create beautiful stop motion or animated films, stringing together various short clips, adding voice overs, sound effects, and music.